Only 1 gram sugar per serve! 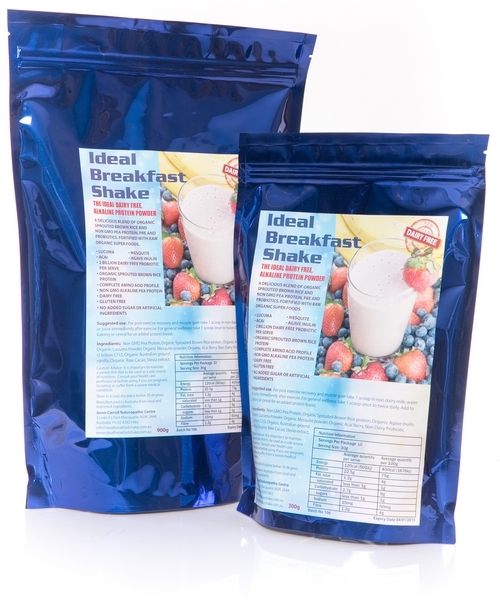 Keep up to date on the latest Ideal Breakfast Shake news! 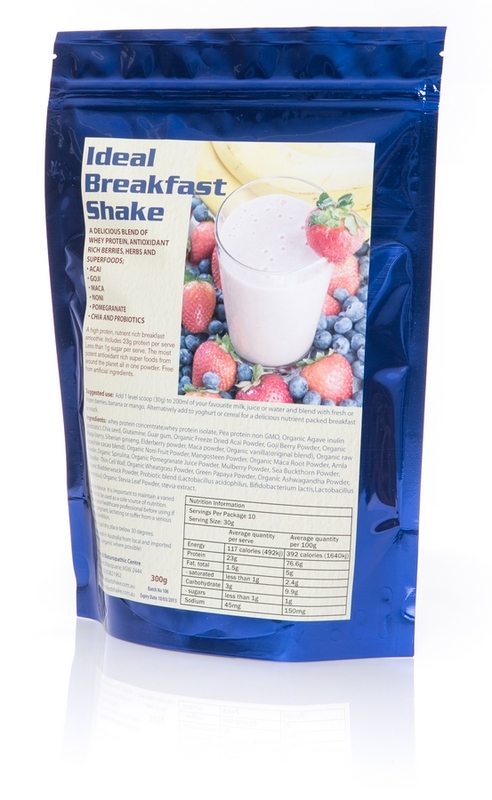 The ideal blend of the best quality protein with the worlds most potent super foods.A comprehensive All in one protein powder. 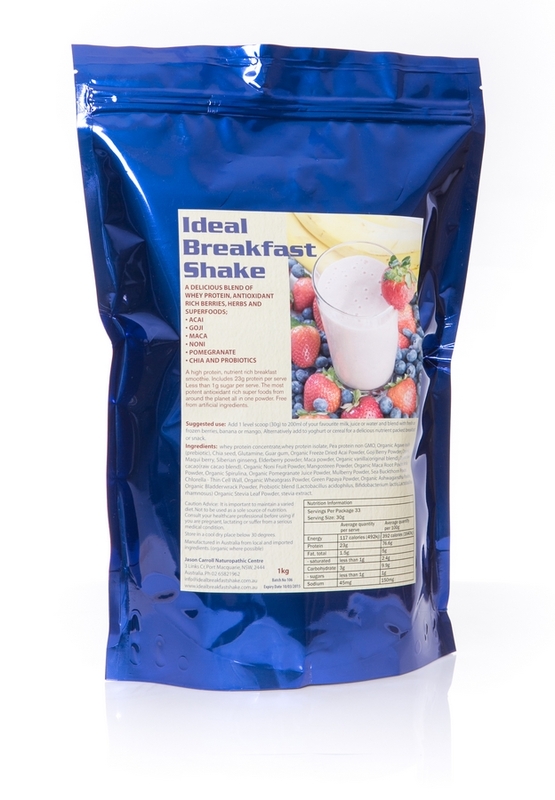 The Ideal Breakfast Shake is THE IDEAL WAY TO START YOUR DAY. To order: simply select the items you wish to order below, fill in your details and click 'buy now' at the bottom of the page. You will then be directed to Paypal to complete your payment with your credit card or paypal account. Delivery is $5 within Australia. 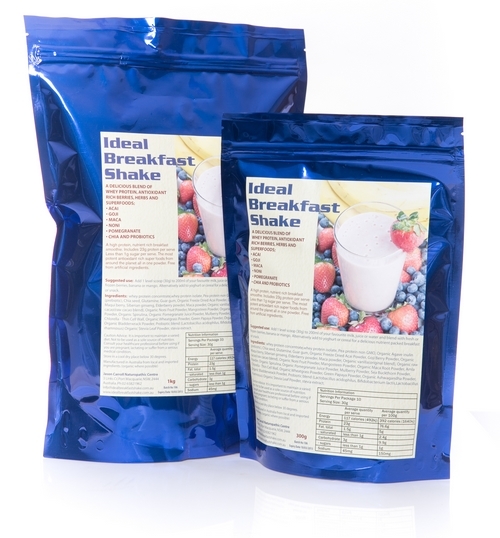 The original ideal breakfast formula - contains the worlds most potent super foods for maximum health and vitality. 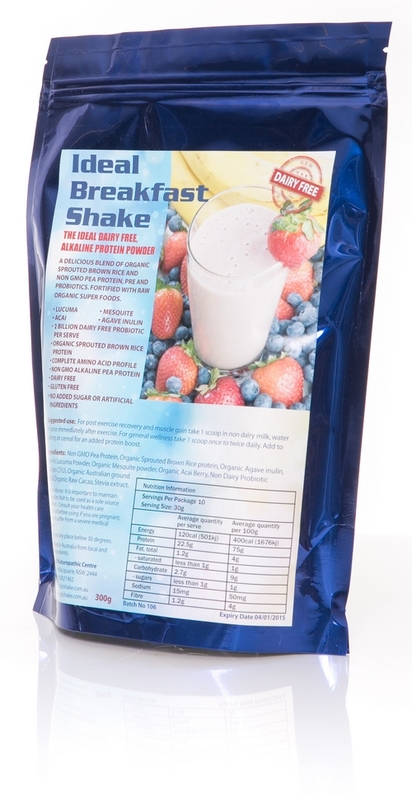 Dairy free- A vegan,gluten free,alkaline protein powder with the addition of carefully selected Superfoods and herbs.Combines the ideal balance of organic sprouted brown rice protein and pea protein. 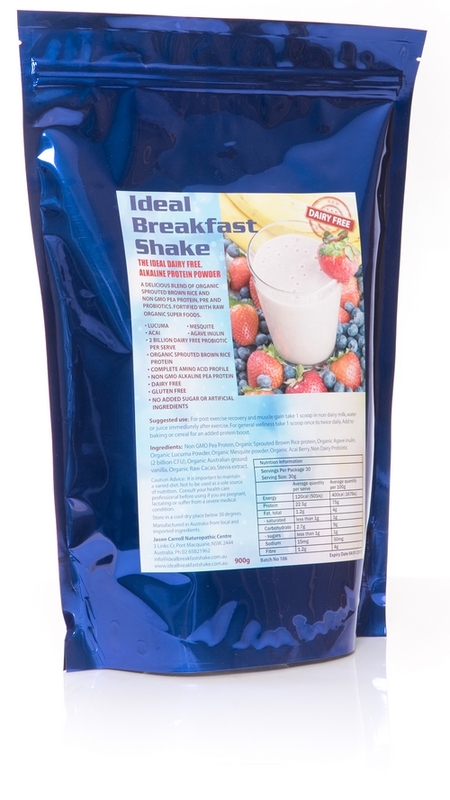 Mixed flavours,sizes and blends welcome. Within Australia: Same day EXPRESS post shipping with a 2-7 working day delivery. See what others have to say on our Facebook page or post your favourite combination! 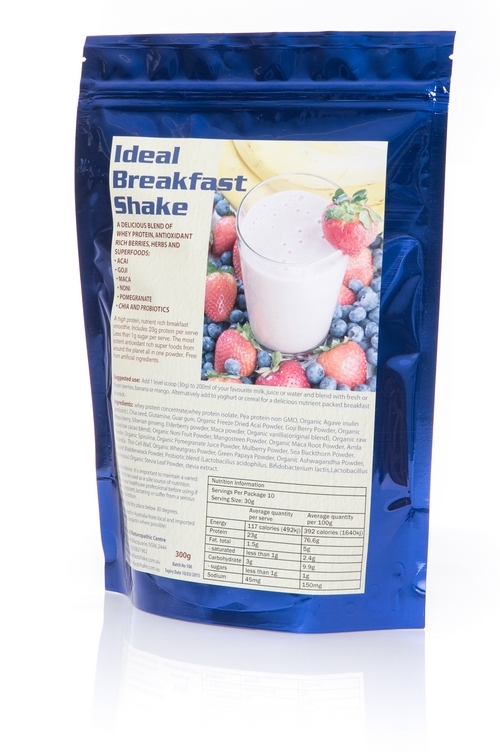 "Ideal Breakfast Shake tastes so good! ...and my energy levels are through the roof!, thanks."